Is Hands-Free Phone Use Safe While Driving? Most people know just how dangerous it can be to text and drive or hold a phone for a conversation while behind the wheel. To overcome these risks, many people rely on hands-free systems to talk and drive. 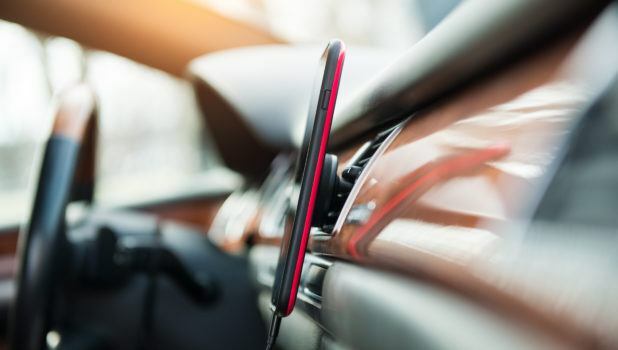 Are hands-free devices really safe to use when driving, or are they just one more distraction that is putting drivers at risk and making rear-end collisions more likely? Here’s the truth about hands-free devices. Hands-free driving requires multi-tasking that your brain can’t do. Although it’s true that your brain can jump around from one activity to another in a short period of time, that is not the same thing as multi-tasking. When you’re driving and using a hands-free device, you’re asking your brain to do all of the activities required for driving, plus all of the activities required for participating in a conversation, and it simply isn’t up to the job. A study of brain activity while driving and while driving and listening to sentences at the same time showed that the activity in the part of the brain that reads moving images was cut by a third during a conversation. Conversations on hands-free devices are not the same as conversations with passengers. It’s true that you carry on conversations with passengers in your car while driving all the time, but that’s just not the same as talking on the phone. Passengers can see the driving conditions and know when to stop talking so you can concentrate. They also help you watch the road. The person on the other end of the phone call can’t help you monitor the road, and they can’t adjust their conversation in response to the traffic. Despite the risk, at least 7% of drivers are on the phone at any given time, so you need to get defensive to stay safe. Pulse Protects helps you fight the risks of distracted drivers with a pulsing third brake light that demands the attention of the drivers behind you. Cut your risk of rear-end collisions by installing the Pulse Protects system in your vehicle. For more information, visit our website. Pulse is the first and only item I’ve ever pre-loaded in 31 years. It is an easy sell, and the employees see the benefitRead More..."
CONTACT INFO@PULSEPROTECTS.COM FOR AVAILABILITY NEAR YOU. Pulse is available at many car dealerships across the nation. Copyright © 2017 Williams & Lake, LLC. All Rights Reserved.